Every man loves to grill but sometimes it is just impossible to have a grill at your side at all times. The GRILLO is a stunningly beautiful and functional folding grill that is designed to be at once striking visually and easy to carry around. The portable grill folds up like an umbrella and is ready to go when you are. It can be set up with a single movement and is versatile beyond measure. Not only is it super handy and easy to take with you no matter where you go, it is also amazing to look at. With a minimalistic design, the GRILLO looks more like a piece of art than a grill. 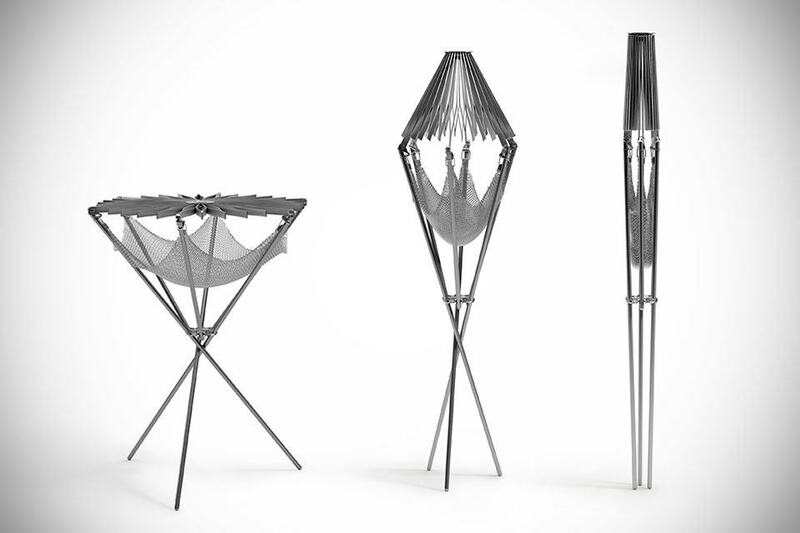 The mesh net on the bottom holds your wood and coals while the star shaped grill holds your food and offers a quick and even cooking area. This is certainly something that every man should keep in his car just in case they feel the need to BBQ. This easy to use and fun to look at grill is perfect for impressing anyone that you come across. Previous Previous post: Most Awkward Prom Photos Ever.